Saturday 8th December 2012 saw the final South London Line services between London Victoria and London Bridge, after 103 years and 1 week. From Sunday 9th December 2012, the South London Line services were replaced by Overground services between Surrey Quays and Clapham Junction, leaving some former South London Line stations with no direct service to London. The last South London Line services were the 23.11 London Bridge to Victoria, worked by 455825, and the 23.11 Victoria to London Bridge, worked by 455812. 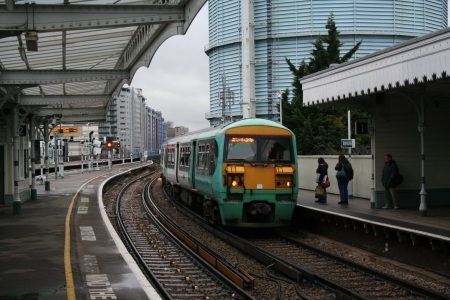 A feature on the South London Line finale appeared in Live Rail 249.